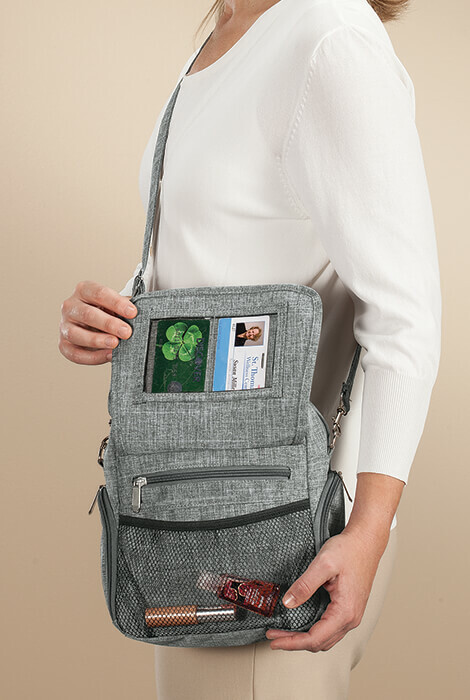 This versatile OrganiZZi™ RFID Ready-to-Go Crossbody Bag is always ready for adventure! 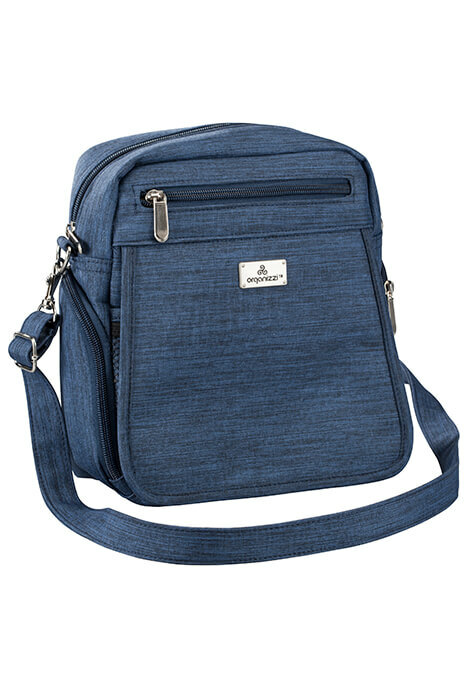 On-trend oxford crossbody bag is as secure as it is fashionable, with built-in water resistance and RFID protection. 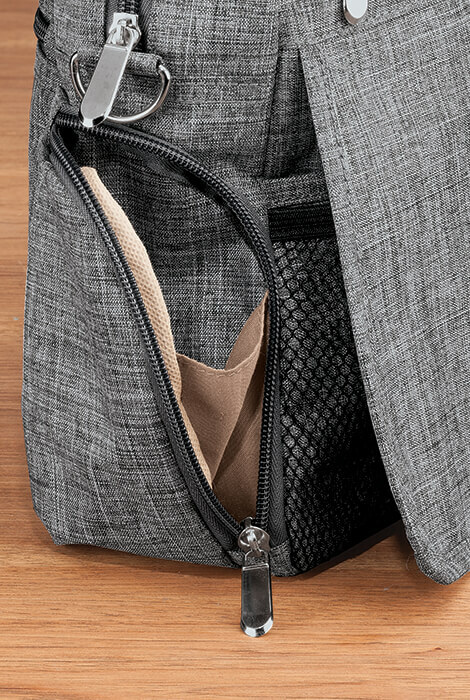 For instant access to essentials, the front flap lifts to reveal 2 clear pockets, zip pocket, open pocket and mesh compartment. 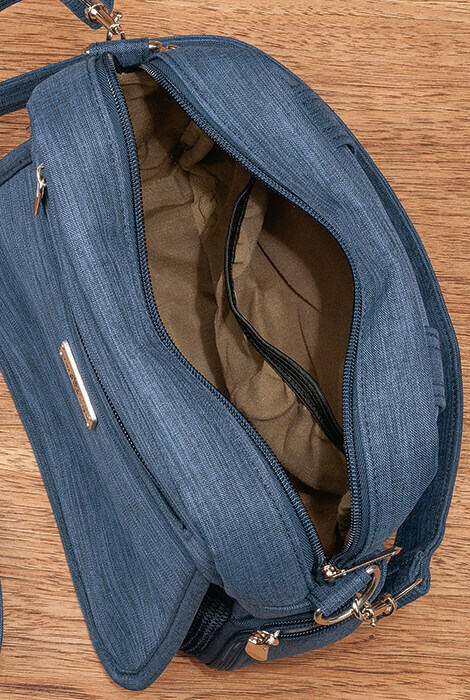 You'll find more secure zip pockets on the front, back, top and inside. 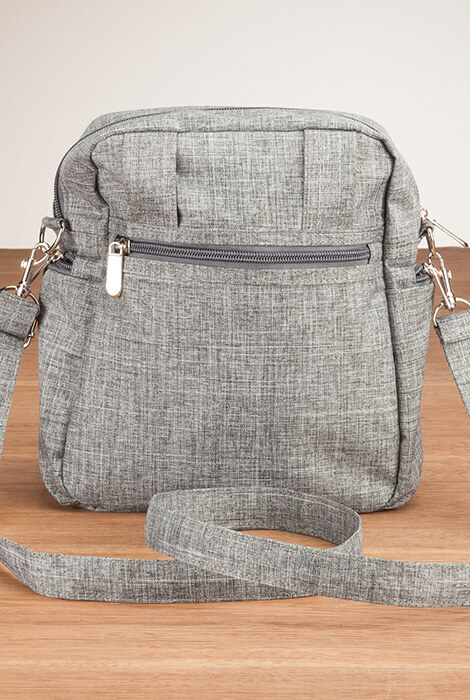 Crossbody purse strap adjusts from 25"–48" for hands-free convenience, or detach the strap, weave a belt through the 2 back loops, and wear this lightweight bag around your waist — perfect for hiking, airports, shopping and more! 10" wide x 3" deep x 9 1/2" high. Polyester.